The cleverness continues in My Boyfriend Is A Monster #2: Made for Each Other. I wasn't anticipating an entirely different story. I was kind of hoping to find out of Dicey and Jack from part one survived the zombie apocalypse. But I was pleasantly surprised by this continuation of the Frankenstein story. What happens when Frankenstein's monster starts making his own creations. Apparently he makes a thoughtful, compassionate, handsome young man named Tom. He also makes some other crazy, psycho creatures that weren't given a moral compass, so you know what that means. Lots of bloodshed and intrigue. I never really got into the Frankenstein monster, besides the wonderful "Frank" in 1987s Monster Squad..."bogus". But this was a fun take on the story. The artwork is fantastic, and the stories are fun. 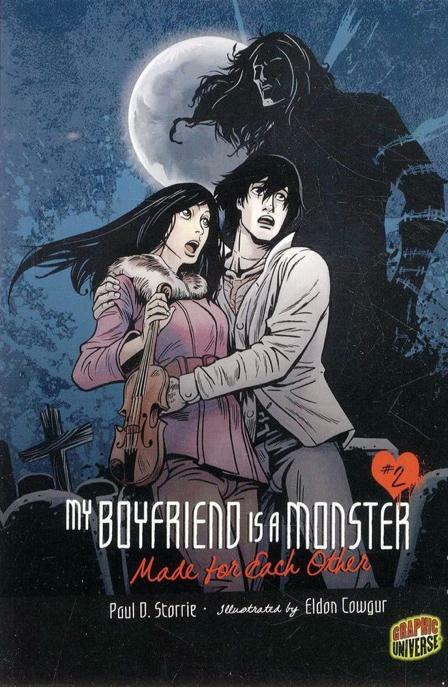 What more can you ask for in monsters and comics?